I just love it when technology can help solve social problems – especially in cases where you wouldn’t expect it to, like for example in Chicago, where a Twitter bot is helping authorities find dirty restaurants. If you’ve eaten out, and after that you feel a bit sick, like say you have an indigestion or a bad stomach – who are you gonna tell ? There are many city hotlines or authorities you can tell, but most people don’t use them. Most people just complain online, and what better place to complain than on Twitter? 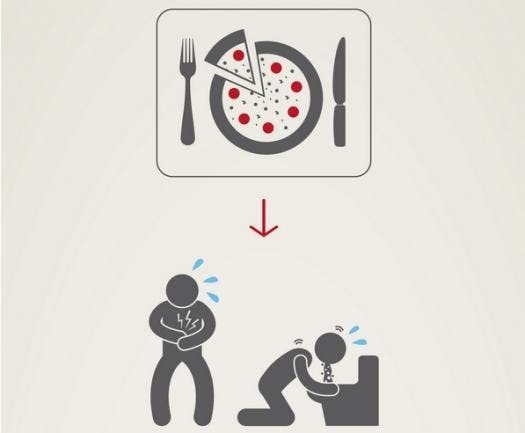 So, in a recent project, the city of Chicago sought food poisoning cases by setting an algorithm to mine Chicago-area tweets for complaints. The Chicago Department of Public Health’s Twitter bot, plus a new online complaint form, helped the department identify 133 restaurants which seemed dubious, and an inspection was deemed necessary. Out of the 133 inspected restaurants, 21 failed inspection, and 33 passed, but with serious violations – so all in all, more than a third were found with problems, much more than usual. The Twitter bot worked. Chicago is now working with the health departments of Boston and New York to see if its system could work in those cities, according to a report city researchers published with the U.S. Centers for Disease Control and Prevention. Another good way to further develop this initiative would be to expand it on other platforms, because it seems fairly logical that more complains can be found on Facebook than Twitter. As for this bot, the way it works is pretty simple. It searched for tweets geo-located to Chicago and its surrounding suburbs that mentioned “food poisoning.” Human staff then read the tweets to determine if they were relevant. Tweets were labeled as ‘relevant’ or ‘not relevant’, further improving the way the bot selected tweets. Then, staff manually replied to relevant tweets, sending them a link to file a complaint. Between March 2013 and January 2014, the Chicago bot culled 2,241 tweets, of which 270 were relevant and staff replied to them. Thirty Twitter users went to Foodborne Chicago directly from the link the health department sent them. An additional 163 people submitted complaints to Foodborne Chicago, but staff don’t know if they learned about the site through Twitter or someplace else. The noteworthy thing is that they would have never found out about those restaurants if it hadn’t been for this bot – people simply don’t make enough complaints when they suspects something si wrong with the food, authorities say.